This week baby brother is measuring in at almost one pound and the size of a spaghetti squash! He is moving like crazy and to be honest, he has made me sore on a couple occasions. So far everything is still about the same. No new cravings or anything. I am up to 121.2Lbs as of this morning. We have the bedroom and play room all situated now to where I’m pretty sure that its all done! I am starting to stockpile on diapers and I need to get a stash going for wipes also. The only thing that I really would like to get is a rock and play and start getting some breastfeeding supplies so that I am ready and don’t have to run to the store for a few days after we get home. 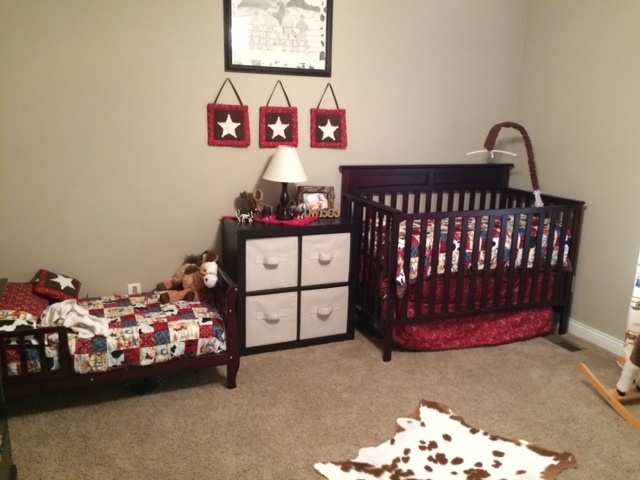 Its nice knowing that I don’t have to spend a ton of money to be ready for baby brother when he gets here but that doesn’t make the urge to buy every cute thing in sight go away. I have held myself back so far because I know that we don’t need it. 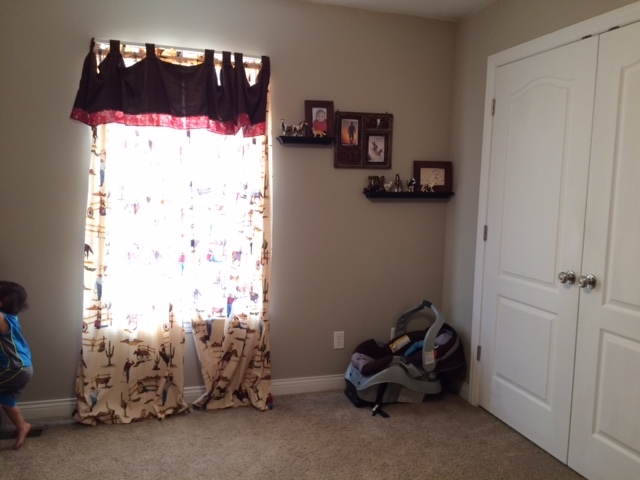 Here are a couple of photos of the boys’ room since we are done with it! This entry was posted in Family in the making and tagged angel baby, baby, beta, BFP, blogger, chemical pregnancy, christianity, desires, faith, God, hcg, hope, infertility, insulin resistant, miscarriage, mom, mommy, MTHFR, PCOS, pcos and pregnancy, pregnancy, Pregnancy after loss, pregnant, rainbow baby, recurrent miscarriage, RPL, TTC, week by week, weekly. Bookmark the permalink. ← All aboard the potty train!